Insomnia is a serious medical and psychiatric condition, characterized primarily by sleeplessness. Sleep is a basic necessity of human bodies. It is a restorative state in which the human body rejuvenates itself. But, for people dealing with insomnia, sleep is a faraway dream. 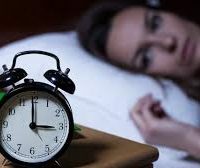 There are many reasons that trigger insomnia like depression, anxiety, stress, and medical conditions like hyperthyroidism, lower back, allergies etc. According to a survey conducted by the National Center For Complementary And Integrative Health, 55% of people found yoga helpful in restoring their sleep, and over 85% confirmed to have experienced reduction in their stress levels, after taking up yoga. There are few yoga asanas that can be practiced by insomniacs sleep better. Uttanasana – This yoga posture stimulates the parasympathetic nervous system. It helps in eliminating stress from our bodies, thereby aiding sleep. Uttana Shishoasana – It relieves tension, and activates pituitary gland to produce sleep hormone, melatonin. This pose de-stresses our upper bodies, while strengthening our core. Balasana – This posture strengthens and relaxes the muscles of our upper bodies. It also stretches our back muscles. It induces sleep by activating the brain to produce melatonin, and relaxes our minds as well. Viparita Karani – It increases re-circulation of blood throughout our bodies, and helps our bodies to relax. This pose prepares our bodies for sleep, while inducing sense of relaxation.